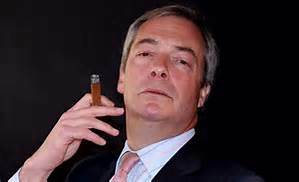 Nigel Farage turned out to support the Boxing Day Hunt near his Kent home on Monday. A truly shocking sight – and hunting is disgusting as well! 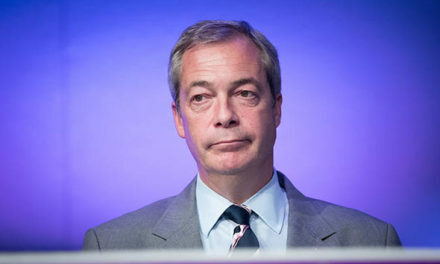 The former UKIP leader was pictured drinking a pint shortly before 11am, in garish mustard-coloured trousers, a grubby waxed jacket, and wellington boots. About 300 hunts were scheduled to happen around the UK on Boxing Day, despite fox hunting having technically been outlawed more than a decade ago. Yesterday it was revealed that opposition to fox hunting had risen to historic levels in the UK, according to a poll that found 84 per cent of the public now believe fox hunting should not be made legal again. 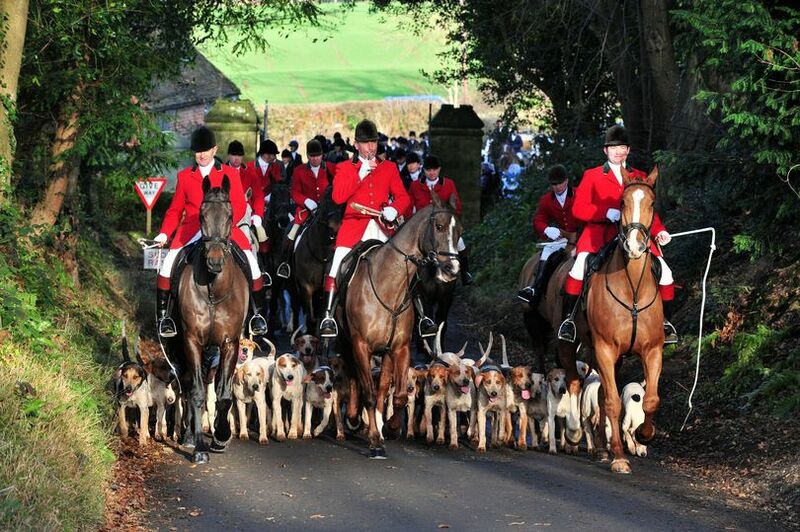 Hunters currently claim to abide by the law by having hounds follow a scent rather than a fox. Some hunts have gone a step further, seeking to dodge the ban by buying birds of prey. They claim to use dogs to flush out the fox, and the bird to kill the animal, which is not technically against the law. According to campaigners, other enthusiasts simply break the law on a regular basis, but they are rarely punished. 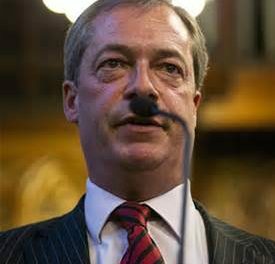 Mr Farage has said in the past he wants to scrap the ban, leading people who oppose fox hunting to label him completely out of touch. Eduardo Gonçalves, the chief executive of the League Against Cruel Sports, which commissioned the recent poll, said families that went out to watch the “glorious pageant” of a hunt on Boxing Day did not necessarily support lifting the ban on pursuing and killing foxes with dogs. “The polling and projections highlight just how out of touch any move to repeal the hunting ban would be. Generally only dictators would dream of pushing through a policy against that level of public opposition so we hope our government will respect the will of the people,” he said. “The Boxing Day hunts are portrayed as a glorious pageant taking place in front of a huge number of people who support them, but the truth is very different. The fact is 84 per cent of the public do not want fox hunting made legal. “Just because families might venture out on Boxing Day to see the hunt, stroke the dogs or watch the horses, doesn’t mean they support repealing a law to enable the hunt to chase and kill wild animals with their dogs for sport. Mr Farage, who was spotted chatting, drinking, and grinning at 10.45am today at the Old Surrey Burstow and West Kent Hunt’s meeting at Chiddingstone Castle, appeared unconcerned about angering the public. 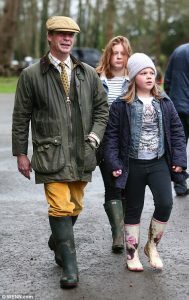 Whereas other politicians tend to keep their love of bloodsports quiet — David Cameron was left embarrassed in 2015 when a rare photo emerged of him on a hunt — Mr Farage is a regular spectator at the Boxing Day Hunt, even making himself more conspicuous by wearing a similar, garish outfit each year. In 2014 he accused Labour of “cynically trying to turn the issue into class warfare”. Tim Bonner, Chief Executive of the pro-hunt Countryside Alliance, took a similar line, saying the ban was a “political” attack on people perceived as being “posh and privileged”. He said the law unfairly singled out hunt-lovers while allowing foxes to be killed in other ways. He also said the ban was pointless, as it had not stopped hunts from happening. “The law that was supposed to have got rid of hunts is now being used as little more than a vehicle to harass them,” he said. The League claims huntsmen and women have broken the law 200,000 times since the ban despite just a handful of prosecutions. Shadow environment secretary Rachael Maskell said it was “absolutely clear” the British public do not want a return to hunting. 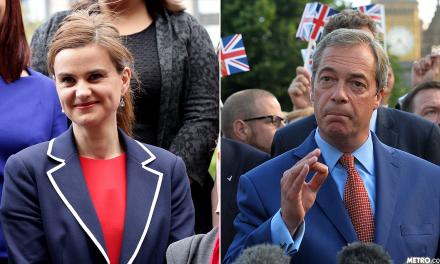 “The Tories must not try and sneak hunting back on to the parliamentary agenda when it is so clear that people up and down this country don’t support it,” she said. But Theresa May is said to be considering holding a vote on the matter regardless of public sentiment. Environment secretary Andrea (loathsome) Leadsom has also said she supports the cruel sport.